Just two-and-a-half years later, I’ve written more words than I can count — books, blog posts, online course content, social media posts… millions of words. And it’s all because I took the plunge and started making money as a writer. Proofreading got me into the freelance world, but writing is what helped me get to where I am today. I want you to get there, too! 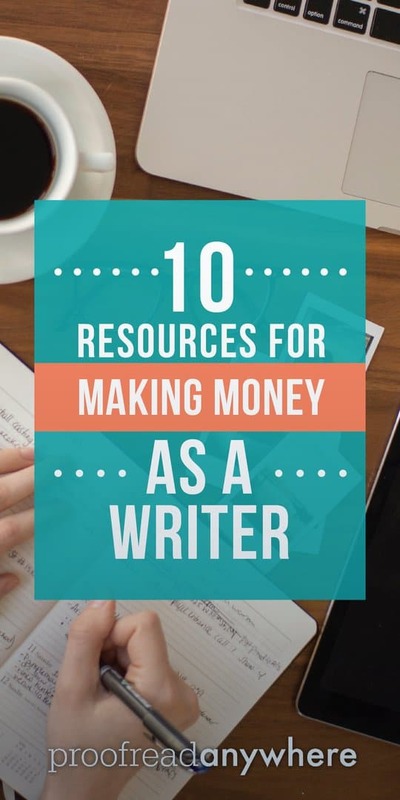 You can start with my top 10 resources on how to start your freelance writing career. 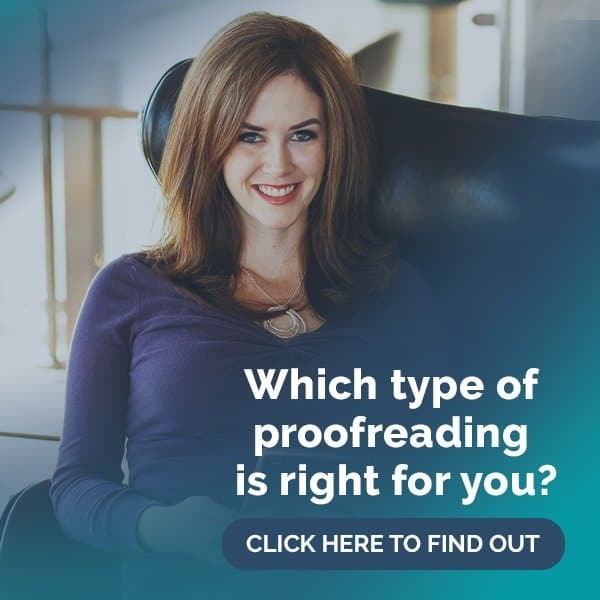 You might be a transcript proofreader looking to expand your services… or maybe proofreading isn’t quite right for you, but you still want to have the freedom to work from anywhere. These resources will get you started! Along with my mantra of “mo’ skills = mo’ money,” I’m also a firm believer in getting the proper training for whatever new skill you’re wanting to learn. You’ll save so much time by starting off on the right foot and learning from people who have been in your shoes and already know how it works. Think of training as an investment in your future rather than just another expense, and you’ll be on your way to success. This six-week course is taught by Eva Shaw, Ph.D., a full-time writer who has been featured in huge media outlets like USA Today, the Washington Post, Woman’s World, and many more. You’ll learn all about the different types of writing — like ghostwriting, writing for the web, and essay writing — while Eva mentors you through each step. If you truly embrace the work-anywhere lifestyle, this six-week course is for you! You’ll learn the specific skills needed to become a travel writer plus tips on travel industry trends, grammar refreshers, and marketing information. What’s one piece of content nearly everyone has to write? A resume! And most people (including me) are not huge fans of writing them. If you’re someone who actually enjoys writing resumes, you have a big honkin’ opportunity to make some serious cash. Take Teena's course and you could earn $500 writing a resume and cover letter. Gina Horkey explains how she started her freelance writing business completely from scratch — and was able to quit her job in less than six months. Yuwanda Black gives us the details on how you can make serious cash by writing SEO articles. …now you need the jobs! You know you want to start a writing career, but you’re clueless on where to find quality, high-paying jobs. Contena is the place to go. This job board is THE best one I’ve ever seen. What about writing and publishing an eBook? Have you ever thought about writing and publishing an eBook? Self-publishing is growing more and more popular these days — in fact, a book is released on Amazon every five minutes. I’ve got two great resources for you on why you should write an eBook and how to publish and sell your eBook. If you need a professional (and human) second pair of eyes, check out ServiceScape. They can help you find a freelance editor for any type of project, large or small. RELATED: What's Holding You Back? Ever thought about writing a book? If so, check out this 20-step how-to guide from a New York Times bestselling author! Looking for even more recommendations? 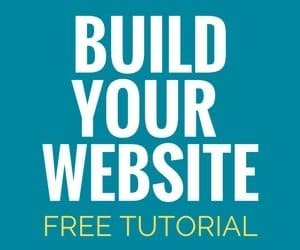 Check out this resource page where I talk about my favorite tools and resources for building your website, running your freelance business, and even keeping fit! With the right training and skills, you can make legit money by writing. There’s an ever-expanding demand for high-quality writing — everything from books, posts, social media, and even online courses. So why not learn how to help fill that need for authors and bloggers everywhere? Earn a piece of enormous financial pie for yourself! I am very interested in proofreading and more!!! I am ready to find a real way to make money online with little or no cost. Can you please help me??? Caitlin, you never cease to inspire me! I’m a PA grad from over a year ago. I loved your very practical, step-by-step course. I even worked as a proofreader for a short time. However, I ended up trying to fit it in between two other jobs. I found I don’t function well as a proofreader at 2 a.m.! So, I’ve turned to writing as well. Businesses everywhere need writers for their websites, emails, newsletters, and more. I had NO idea! I love that I have a recurring blogging income. I can write when I’m fresh and not worry about a rush job at midnight. Ray Edward ROCKS! He has a free podcast that I listen to while I work my other job. Every. Single. Week. (Guess what? That’s perfectly acceptable blogging grammar. Smiling.) I would totally invest in his course if it wouldn’t put me in debt. His book, How To Write Copy That Sells, is a very helpful learning tool. I want to give a huge shout out, if I may, to Carol Tice of the Freelance Writer’s Den. I’m not posting my affiliate link, though. She’s got a ton a great writing courses inside the Den. That’s how I got my first blogging job. Her blog is http://makealivingwriting.com. She talks you off the ledge of working for low-paying content mills. You’re a genuinely good person to point people to the legitimate ways they can make money online. Reality check — hard work is involved! It’s a huge learning curve for me still. I’m a techie failure devoted to learning new skills. (I found a few errors on my own website and cannot seem to get the fixes to “stick”, for instance). You’ve inspired me to keep trying and never give up. I really think your Proofread Anywhere course laid the groundwork for my believing I could actually BE a business writer. Thanks a million! Wow, Julia!! Thank you so much for your comment and the update. It is SO GOOD to hear one of the “PA originals” is taking things to the next level!! Would you be interested in being featured as a success story on Proofread Anywhere (complete with links to your website and all)? We like to feature ALL kinds of success, even if you branched out. Please email me if you’d like to do that 🙂 caitlin [at] bcpmediainc.com. I’ve enjoyed writing at least since I was 10. 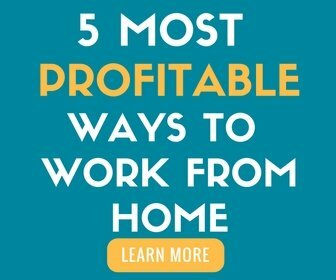 I’ve tried in the past to make money writing online, but I’ve lacked consistency in writing and posting articles for blogs to earn money from ad traffic. I’ve never built up the traffic to make any money. I’m currently enrolled in the full proofreading course here because I see it as a real way to make money online anywhere, using skills I already possess but could improve on. I love that Caitlin here writes about many different ways to make money online, and links to her online freelancer peers. Once I have my proofreading up off the ground (and hopefully am out of my regular full-time job!) I will take another look at these resources and try to make money writing as well.